Level-5 hasn't delivered an official date yet, but for Christmas this year, we get a teaser for not one but two properties the company is planning to localize: its robot battling franchise Little Battlers Experience and its mega hit Yokai Watch. 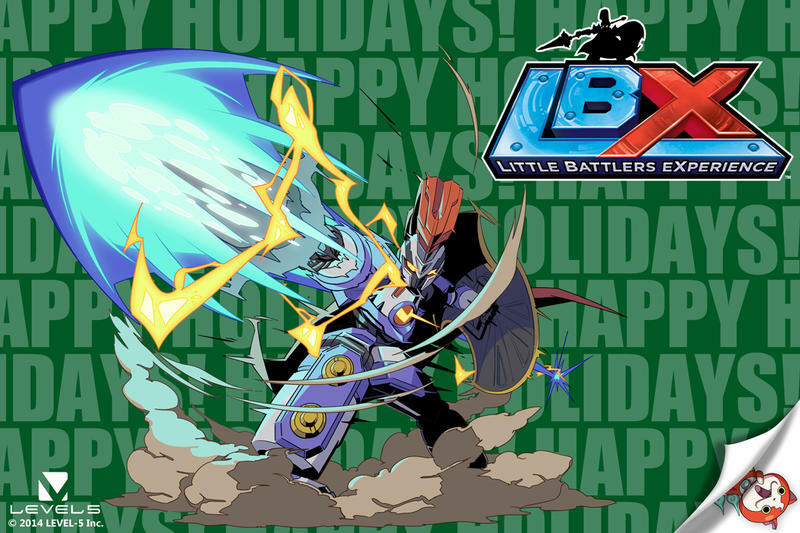 On its Facebook page, Level-5 released the teaser image with a warm holiday message to all of its fans. "Happy holidays from all of us here at LEVEL-5 International America! Thank you all so much for making 2014 an awesome year. We're hoping 2015 will be even better!" Yokai Watch is of course the monster hit, literally, which has taken Japan by storm. It has rivaled Pokemon in terms of popularity with children this year, and Yokai Watch 2 has sold over 5 million copies to date across three separate releases. We are still waiting for a release of the first game in the states, and it finally looks like it is happening in 2015. I am unfamiliar with Little Battlers Experience, but it seems pretty typical of the multimedia franchises that Level-5 makes these days. Rather than soccer, Japanese monsters, and detectives, this one is all about mini-robots. The anime has already been localized into English, and now it looks like the game series will follow. Six have been made to date across the PSP, PS Vita, and Nintendo 3DS, meaning I have no idea which one Level-5 is teasing. My guess is the latest Nintendo 3DS one. I'm looking forward to a great year with Level-5 games. I really want to play Yokai Watch and see what all the hubbub surrounding me in Japan is all about. I'm more excited though to see some of these huge games they have been teasing as of late. We have a big PlayStation 4 game being announced at E3 and possibly another handheld game in the works that president Akihiro Hino says will rival Yokai Watch. What could they possibly be? I would love it if Level-5 took a break from these multimedia series and got back to the spirit of its ambitious early PlayStation 2 days.